My shop has now re-opened for 2011. 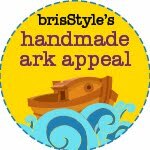 Proceeds of all sales will be donated directly to The Premier's Flood Relief Appeal as part of the BrisStyle Etsy Street Team's Handmade Ark Flood Appeal. Funds donated to the appeal provide assistance to the flood affected communities of Queensland which includes members of the BrisStyle Etsy Street Team. For more handmade items or to take part check out the BrisStyle blog. Welcome home intrepid traveller xox so glad to know that you arrived home safe and sound to your little home ...above the tide line. Have been following your escapades on facey and wished I was with you in singers to share a sling or two. So glad to hear that you and your home are well.